Celebrity couples with a big age difference - including Peter Andre and Emily, Gregg Wallace and Anne-Marie, Amal and George Clooney - HELLO! 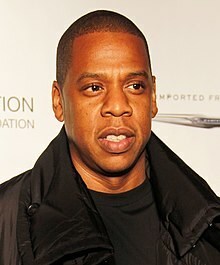 Shawn Corey Carter , best known as his stage name Jay Z, is an American rapper, businessman, and investor. Formerly known as Jay-Z, he is one of the best-selling musicians of all time, having sold more than 100 million records, while receiving 21 Grammy Awards for his music. MTV ranked him the "Greatest MC of all time" in 2006. Rolling Stone ranked three of his albums—Reasonable Doubt , The Blueprint , and The Black Album —among the 500 greatest albums of all time. In 2014, Forbes estimated his net worth at nearly $520 million, making him one of the richest hip hop artists in the U.S.
Shawn Corey Carter (born December 4, 1969), best known as his stage name Jay Z, is an American rapper, businessman, and investor. Formerly known as Jay-Z, he is one of the best-selling musicians of all time, having sold more than 100 million records, while receiving 21 Grammy Awards for his music. MTV ranked him the "Greatest MC of all time" in 2006. Rolling Stone ranked three of his albums—Reasonable Doubt (1996), The Blueprint (2001), and The Black Album (2003)—among the 500 greatest albums of all time. In 2014, Forbes estimated his net worth at nearly $520 million, making him one of the richest hip hop artists in the U.S.
Jay Z co-owns the New York 40/40 Club sports bar, and is the co-creator of the clothing line Rocawear. He is the former president of Def Jam Recordings, co-founder of Roc-A-Fella Records, and the founder of the entertainment company Roc Nation. He also founded the sports agency Roc Nation Sports and is a certified NBA and MLB sports agent. As an artist, he holds the record for most number one albums by a solo artist on the Billboard 200 with 13. He has also had four number ones on the Billboard Hot 100, one as lead artist. In 2009 he was ranked the tenth-most successful artist of the 2000s by Billboard as well as the fifth top solo male artist and fourth top rapper behind Eminem, Nelly, and 50 Cent. He was also ranked the 88th-greatest artist of all time by Rolling Stone. Jay Z married American R&B singer Beyoncé in 2008. Their daughter, Blue Ivy Carter, was born on January 7, 2012. Music video by Jay-Z performing Dirt Off Your Shoulder. (C) 2003 Roc-A-Fella Records, LLC.